In a mixing bowl, add the flour, salt and sugar and mix well. Cut the butter into cubes ( the butter should be frozen not soft) and add it to the flour. Take some flour in your hands and then gently break the butter cubes and mix in to the flour. 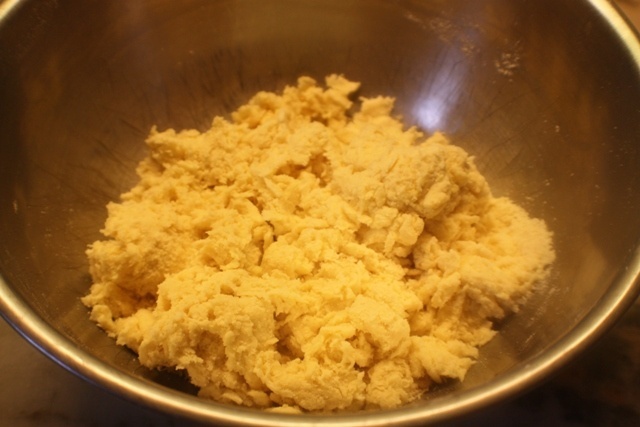 The butter and flour when mixed will look similar to bread crumbs. Now add the 1/2 cup cold water ( don’t use any more water as the crust will become tough) and mix together until is just combined. While the dough is getting cold ……. Peel the apples, remove the core and chop them in pieces. 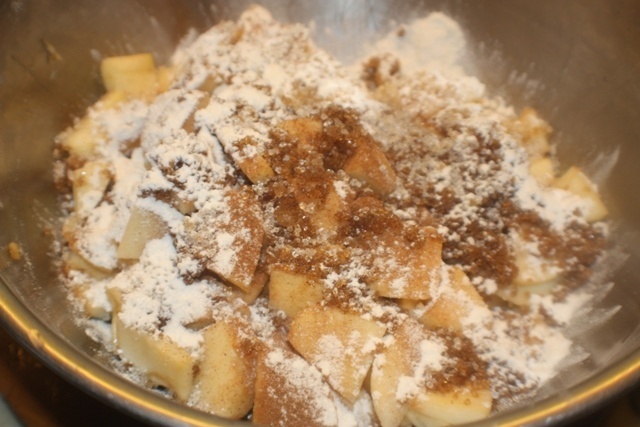 Put the apples into a mixing bowl, and add the lemon juice, nutmeg powder, cinnamon powder, white sugar , brown sugar, Vanilla essence and corn flour and mix well and keep it aside. After 30 mins, take one of the pastry dough ball and roll out the dough in a lightly floured surface into a circle about 2 mm thick. 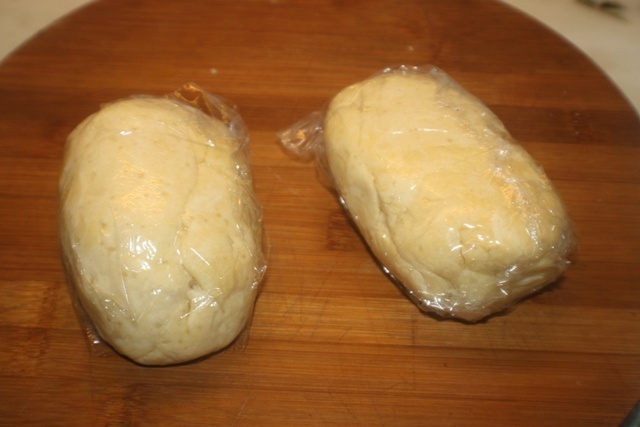 Roll pastry over the rolling pin and unroll it over a metal pie dish. Cut of the extra pastry from the edges. 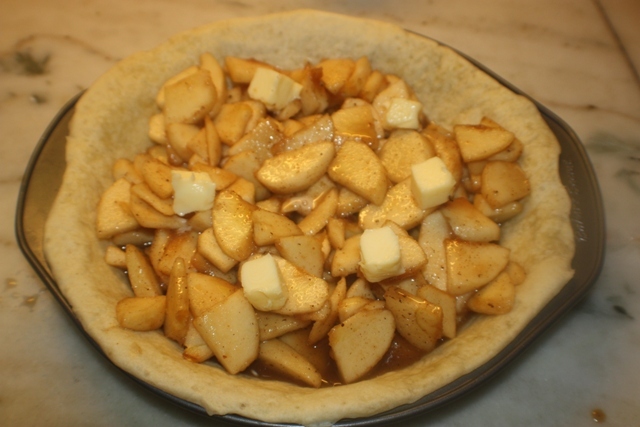 Using a slotted spoon, add the apple filing mixture into the pie crust. Cut the butter into cubes and place them on top of the filling. 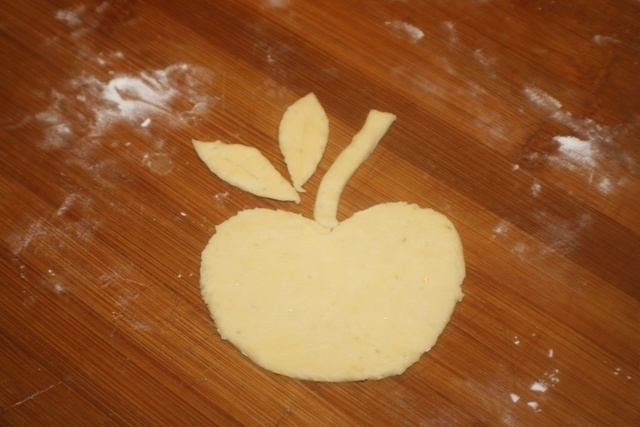 Roll out the second ball of dough into a circle which is about 2 inches wider than the pie pan. 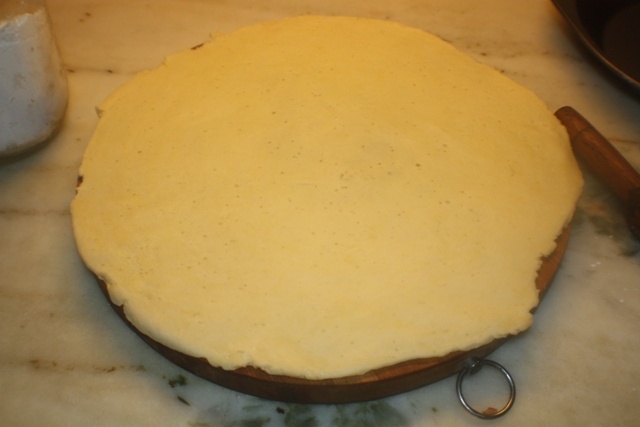 Place the pastry on top to cover the pie and tuck the excess dough in the sides, under the pastry which is in the bottom. 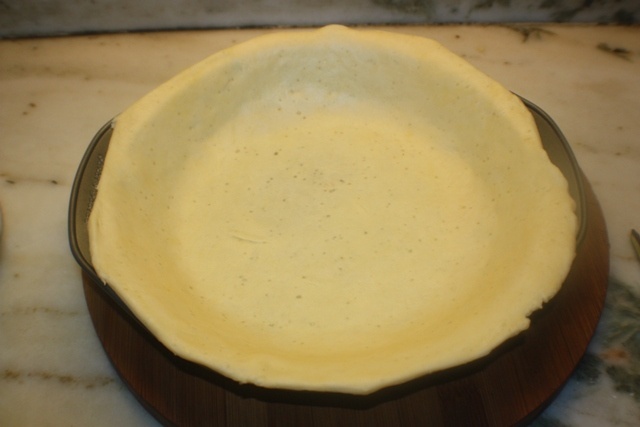 Press the edges together to seal the top and bottom pastry and crimp the edges with your fingers. 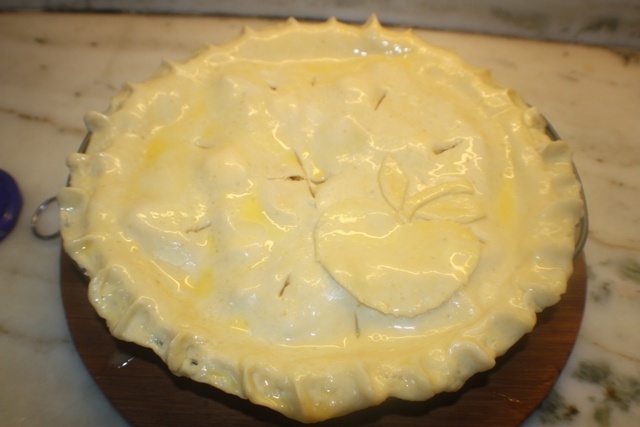 Using a sharp knife, made couple of slits on tops of the pie for the steam to escape. Beat a egg and brush on top of the pie and sprinkle with a bit of sugar. Preheat your oven on at 150 degrees Celsius. 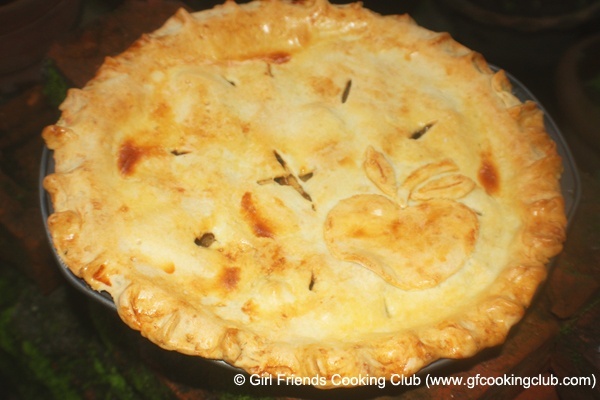 Bake the pie for 45 min or until the apples are tender and the crust is golden brown. Cool for for at least 30 mins before serving. You can serve it as is or with a dollop of ice cream. Enjoy ! 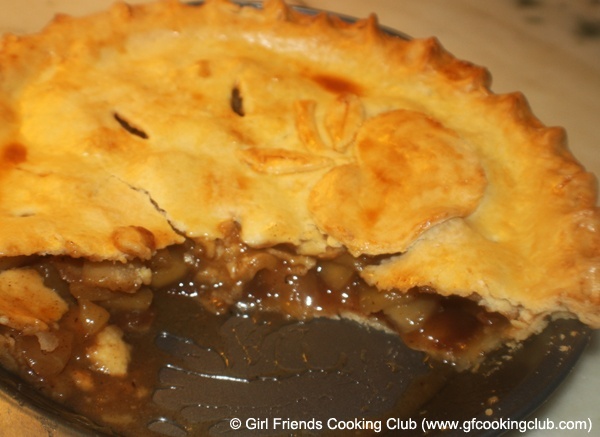 This entry was posted in All Recipes, Desserts and tagged Apple Pie by Kamakshi. Bookmark the permalink.